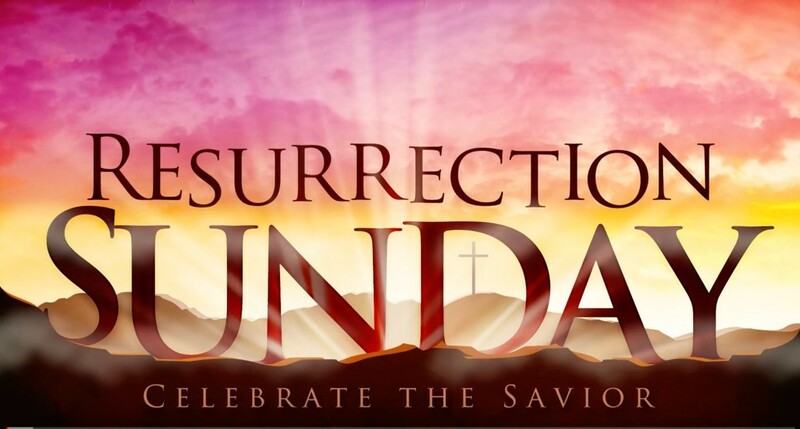 COME JOIN US FOR OUR Easter Resurrection Celebration Service, Sunday April 21st, 2019. INVITE SOMEONE! It is a Celebration of God’s Restorative Love! Christ is AMAZING LOVE! HE IS UNFAILING LOVE! Our Resurrection will include our annual Easter Egg Hunt! A prize drawing will take place at the end of the worship service and two winners will each receive a $25 Walmart gift card. Please invite your family, friends, and neighbors to church on Easter and encourage them to fill out a New Life Fellowship response card because the drawing for gifts will come ONLY from response cards that are completed and turned in before the drawing! Snacks and drinks will be available in the Fellowship Hall while children Hunt for Eggs. Plastic Easter Eggs will contain wrapped candies but will not contain nuts due to nut allergies children might have. Bags will be available for children to use as they collect the eggs. The child who finds the one and only golden egg will receive a $10 Walmart gift card. Three additional $5 Walmart gift cards will be given to the children who find the most yellow, red or green eggs. There will be an official count and distribution of the gift cards at the end of the hunt. To share the joy, a participant can only win one drawing. Let’s have some fun and enjoy the blessing of Easter in the Love of God – Father, Son, and Spirit!